"It was easy to follow the directions, and believe me, my 8 year old grandson and I needed easy. I am a 67 year old grandmother filling in for a father stationed in Afghanistan, and my tool knowledge is small. But my grandson and I were able to build the tank." Nothing can stop the Army Tank from winning the battle! This is a simple car design, with full step-by-step instructions illustrated with 3D AutoCAD images. 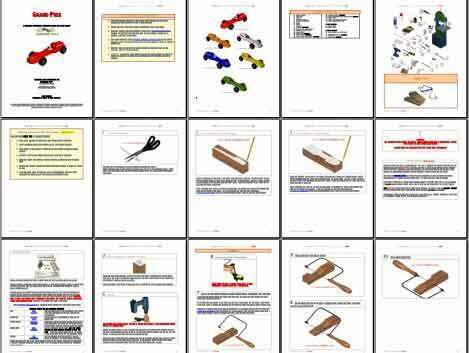 This pinewood derby car design plan also comes with information on weight placement, hints, building tips, a complete tool list, and easy cut-out templates to use as a cutting guide. View your car in 6 different colors, from all angles! We'll even throw in a 360 degree animation of the Army Tank derby car! we found this kit helpful, easy to follow, and thorough. My son and I had a great time building this Pinewood Derby Tank. We should have used a flat green color instead of gloss but It looked great after completion. As long as you add weight you should reach comparable speeds. The speed was average at 3.28 sec. The fastest cars reached under 3 sec on the track we used. It wasn't the fastest but commendable. These plans are the BEST! Easy design to build, great and easy to read download instructions. My son earned 2nd place in his division. Be sure to emphasize importance of rounding the wheels, sanding the nails, & using graphite & placing the weights in the back. The instructions were great all except for building the turret in the top of the tank. The tank was perfect weight until I added the turret and my son painted it. I had to remove weights and drill holes in the bottom to take weight off. He did not place in the race for speed but got a 1st place trophey for design. My son did everything on this himself (we believe in that.) He was able to complete this using a skin for the camo color instead of painting. He built the turret using scrap pieces of wood from our kindling pile and some questions answered from us. We are very pleased and will be back next year. Great design that guided my son to take first place in racing and in best design. Cub Scout did sanding, painting, designing, and final details with stickers/paint. I did cutting and turret. It is built with a great desgin for speed!Took 2nd place. The Army Tank is a great little car design. My son LOVED the look of the tank. I am no craftsman with tools but was able to cut it with the design templates in this plan with little problems. My son painted it camo and we added some guns to the top of it. He won the best in show. Great time building it with my son. Will be buying again when it comes time for us to race again. Thanks! I was worried that it wasn't very aerodynamic, but it was our first year and I wanted my son to have fun no matter what. He won 2nd place for two different packs, and had a blast! My son was completely impressed. Easy to put put together. The car came in 2nd place. This was our first race. If you're a beginner, this is the kit for you, plus, if you have a boy who loves Army, this is the one for you. Easy to follow plans. Son (tiger scout) was able to help with most of the build except for the gun touret. It was very fast and easy to do, he won 1st place overall in his pack. I used a gun turrent from his toy tank. This was the 1st one that I had ever built and I was really impressed. Awesome design. My Tiger Scout won best in show "non-car" design. He did 70% of the work himself. Great plans and pretty easy build. With some imagination, you can get really creative with it. Get a toy tank, dissasemble it, and use parts off of it for the pinewood car! Won best paint job and won favorite design! Came in 2nd place overall. The 1st place winner was super fast! Got lots of compliments on this car. It's very easy to use the directions on building this car. I used a turret from a toy tank instead of cutting one out and this car was just beautiful! I place a weight from the scout shop on behind the turret and painted it to match, was 5 oz exactly. File your axles smooth and plenty of graphite and it will go fast! My 6 year old just wanted to have a "cool" looking car that he could be proud of - he wanted to be fast but wasn't obsessed (like some parents) with winning. Anyhow, this plane was simple (modified it a bit) and fun. As a bonus, we were about the middle far as speed goes... and there were 60+ cars. Who knew a tank could be so fast! 1st place overall in his pack. Instructions were easy to follow, especially for someone with my lack of skills. My sone won 2nd place for coolest car. This was a great help and a great step by step plan to follow. 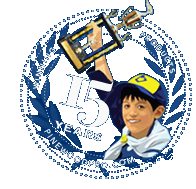 My son won most creative design at his Cub Scouts Pinewood Derby race last month. It was easy for him to paint the camouflage and it turned out great! WE LIKED THE WAY IT LOOKED AND THE WAY IT RACED WE ARE GOING TO USE YIOUR HELP AGAIN NEAXT YEAR. SINCE DAD WILL NOT BE HOME TO HELP AGAIN. Overall body design is great. The car is still heavy so you don't need a lit of extra weight. Turret design can be modified with a dremel tool to round out the gun. Polished axels and wheels made all the difference! Son loved the car and was a 2nd place winner! Very easy to follow and able to do.